Last week, the world of Egyptology became even more hopeful that the discovery of Queen Nefertiti’s tomb is close at hand. Mamdouh el-Damati, Antiquities Minister, announced the promising results last Thursday, stating that the scans completed in November revealed a 90% probability of the presence of two empty spaces behind two walls of the burial chamber. 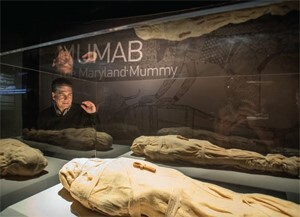 He also announced that the scans have shown possible “organic material” inside these spaces, alluding to the presence of metal, stone, fabrics…mummies? Experts plan to complete additional scanning at the end of the month to determine the size of these hidden chambers and the thickness of the walls, but Damati urged that “There will be no digging unless we are 100 percent sure the chambers exist.” El Damati himself has never been a supporter of Egyptologist Nick Reeves’s theory on the burial of Nefertiti (discussed in my previous post *link*), but he does believe that there may be some kind of female royalty buried within the hidden chambers. Soon the additional scanning of the hidden rooms will begin, but in the meantime Reeves and his team are using high quality surveying equipment to search for a secret doorway on the northern wall that could reveal one of these hidden chambers. After a thorough analysis of the high resolution images was published online last year, Reeves identified cracks in the walls that could indicate to “ghost” doorways that lay beyond the wall. While he works to fully test his hypothesis, Nicholas Reeves (and his team) face continued opposition from those trying to preserve the historical site in its entirety. 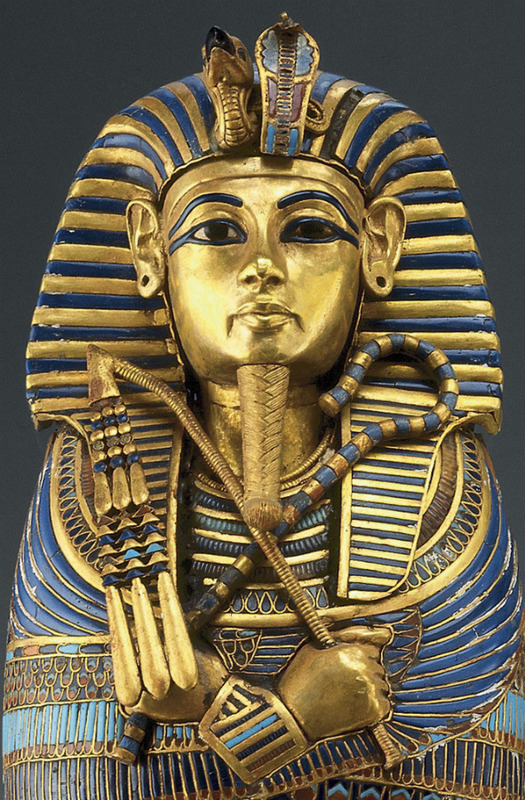 “We must find a way to protect the tomb of Tutankhamun,” El Damati stated in an October interview, “Does that mean we will dig from above, below or from the side? We don’t know.” Many Egyptologists refuse to allow Reeves and his team to destroy any part of the historic site, even if it means preventing the discovery of a great Egyptian treasure. The smallest and final pyramid to be discussed as part of our investigation of the great pyramids of Giza is the monument constructed by Pharaoh Menkaure (possibly known as Mycerinos to the Greeks). Standing at a mere 213 feet tall, Menkaure’s pyramid seems insignificant when compared to its sister structures. 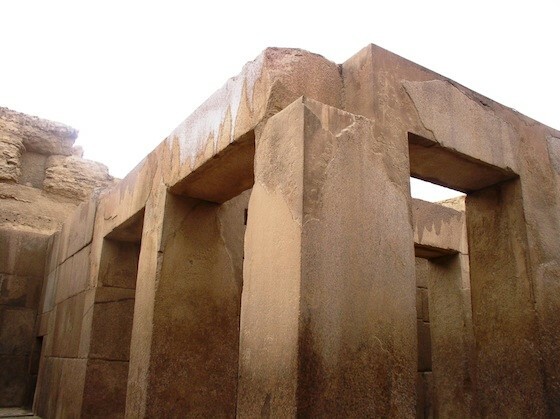 However, the pyramid chambers within this smaller monument are much more complex than those found in Khafre’s pyramid and include a chamber of decorative panels, one of six large niches, and a burial chamber lined with massive granite blocks. A black stone sarcophagus, carved with beautiful niched panels, was discovered inside the burial chamber, but was later lost at sea as it was being transported to England. The Pharaoh Menkaure died unexpectedly during the construction of the pyramid and its complex, and therefore work was abandoned. However, remains of mud brick found on the pyramid reveal that at some point after Menkaure’s death, the complex was completed, though not as Menkaure originally intended. The most plausible theory in regards to the completion of the complex is that Menkaure’s heir, Shepseskaf, returned to the site and completed the work using mud brick. 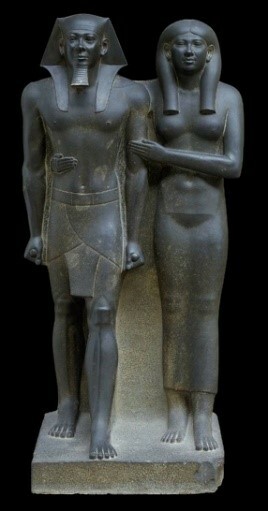 Although his pyramid and complex were not fully completed as planned, many statues of the pharaoh were found in Menkaure’s mortuary and valley temples.One example of this statuary (and one of my favorite pieces of statuary in Egyptian history) consists of a beautiful diad* depicting the king and his primary queen Khamerernebty II which now resides at the Museum of Fine Arts, Boston.This exquisite statue was accompanied by a number of triads depicting the king with various deities which would have originally been set up surrounding the open court of the valley temple.This temple was still an active cult location late into the Old Kingdom, but was entirely reconstructed at the end of the 6th dynasty after it was heavily damaged by a flood. 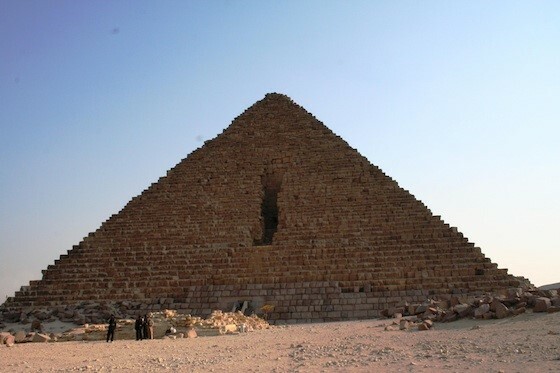 Although Menkaure’s pyramid was not the largest and his complex not the most impressive of the three, when modern man calls to mind an image of the Giza Plateau, we see the points of all three pyramids standing against the blue Egyptian sky. 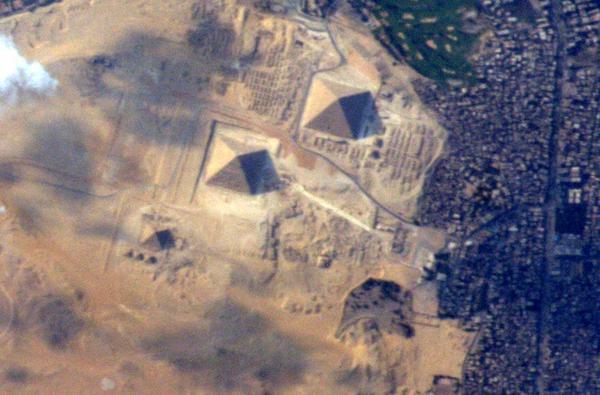 The third pyramid and complex seem to somehow complete the whole. The second largest pyramid on the Giza plateau, and the second largest in the entirety of Egypt, is the monument built by the Pharaoh Khafre (Known to the Greeks as Chephren). While his brother (or possibly his uncle) Djedefre ruled before Khafre and constructed his pyramid at Abu Rawash, Khafre returned to Giza to build his pyramid beside his father’s. Standing around 471 feet tall, Khafre’s pyramid is just shy of reaching the height of Khufu’s monument, but despite this seeming inadequacy, Khafre would not be outdone. 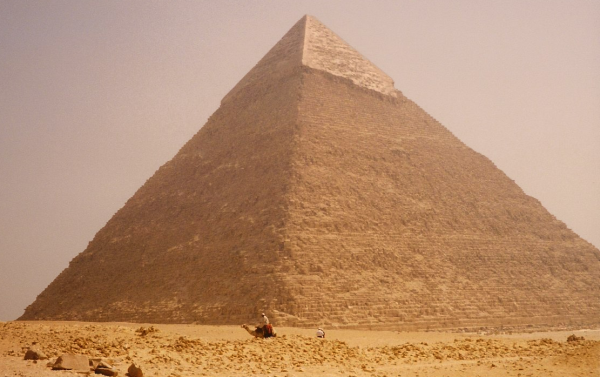 In order to make his pyramid appear the larger of the two, Khafre constructed his pyramid 10 m (33 feet) higher on the plateau. 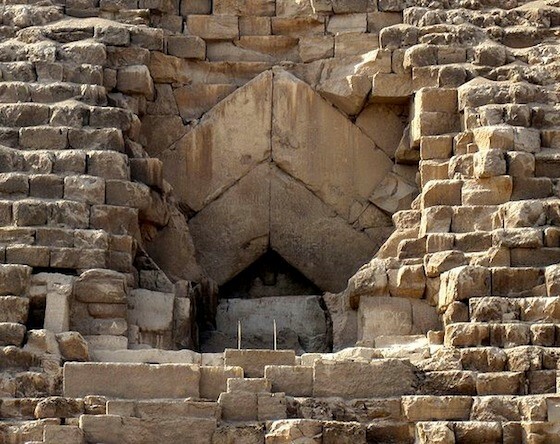 Although the capstone of the pyramid is lost, a section of the original outer casing stones still remains near the top of Khafre’s pyramid, giving Egyptologists greater insight as to how the great pyramids at Giza would have looked to the ancient Egyptians. 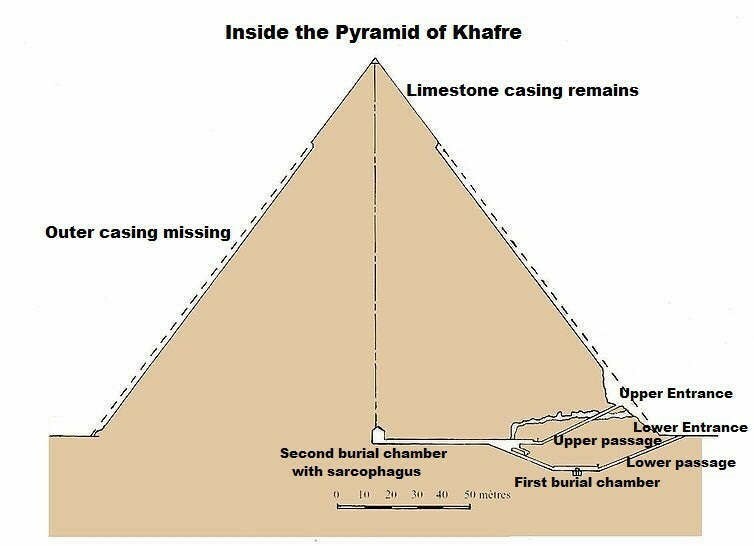 An examination of the inner layout of the pyramid makes it clear that Khafre’s focus was on the exterior of the pyramid and the surrounding complex. 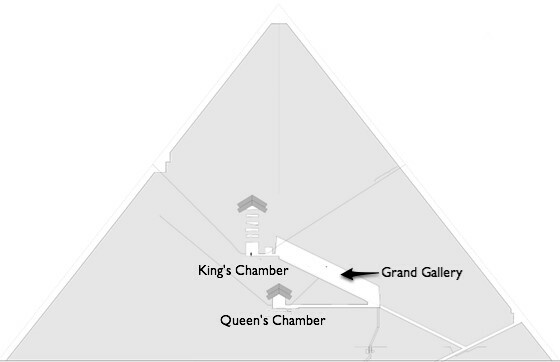 The interior of the pyramid is much simpler than that of Khufu’s Pyramid, holding only a single burial chamber, a small subsidiary chamber, and two passageways. 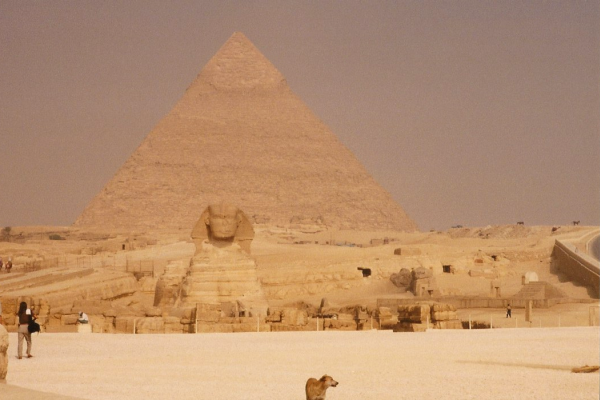 There are, however, some mysteries surrounding Khafre and his pyramid. Although a sarcophagus was discovered within the burial chamber, no mummy or other remains have ever been found within the pyramid. In the second burial chamber (according to the above diagram), archaeologists uncovered a pit which may have been the intended resting place for Khafre’s canopic jars (jars containing internal organs extracted during the mummification process), but this is uncertain. It is also thought that perhaps this grand pyramid was meant to serve a ceremonial purpose rather than as a burial site, but this is also a speculation. The purpose of the second chamber within the pyramid is also unknown. 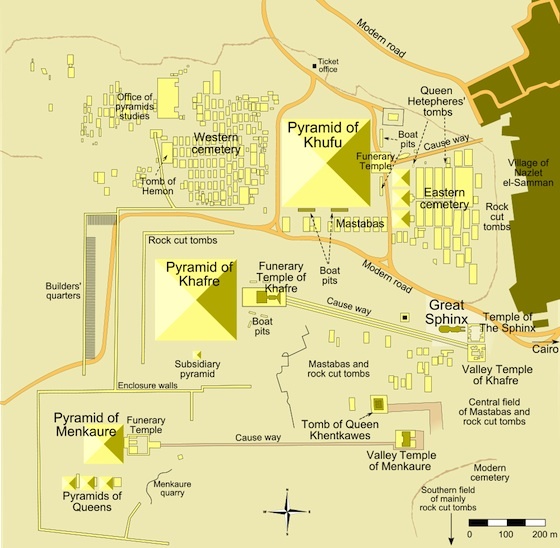 The complex surrounding Khafre’s pyramid is much more intricate than that of its predecessor. Pharaoh Khafre was known for his self-representative statuary, and he filled his mortuary temple with over 52 life-size or larger images. The valley temple, located at the east end of the causeway, is beautifully preserved. Holding an additional 24 images of the pharaoh, the temple was constructed of megalithic blocks sheathed with granite and floors of polished white calcite. However impressive the temples may be, nothing comes close to the colossal Great Sphinx. With the body of the lion and the head of Pharaoh Khafre. The sphinx is carved from the bedrock of the Giza plateau, and archaeologists believe that the core blocks that construct the king’s valley temple were quarried from the stone that runs along the upper sides of the sphinx itself! The king’s head is slightly smaller in scale than the lion body, which sculptors attempted to compensate for by elongating the body. 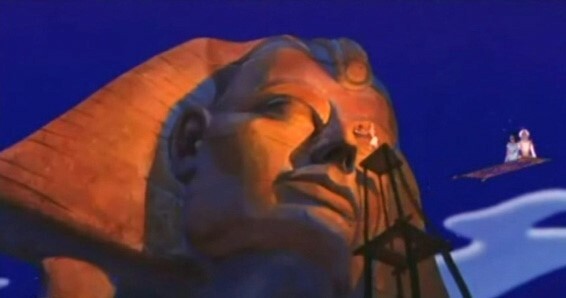 The combination of the lion, a royal symbol as well as a symbol of the horizon, and the king’s head, show not only his power as the ruler, but helps to guard him through a successful journey to the afterlife.One highly-debated aspect of the Sphinx’s history involves the missing part of his nose, which is often believed to have been blown off by a shot from one of Napoleon’s soldiers. In any case, Pharaoh Khafre’s contribution to the Giza Plateau solidified the site’s importance in the history of the Old Kingdom and the ancient Egyptian civilization, adding to the majesty and mystique that continues to attract and inspire the human race. In honor of President’s day this month, I thought it best to investigate our ancient Egyptian Presidents: the Pharaohs. We’ll run through how they “come to office”, what exactly their job entails, what symbols are associated with the Pharaohs, and the ‘President’s Day’ of the Egyptian calendar to see how these ancient leaders compare to our leaders of the modern world! Statue of Pepi II who became pharaoh at age 6, and his mother, queen Ankhesenpepi II who served as regent. **If the heir had not yet reached adulthood (around 14 in ancient Egypt), a regent would be selected to rule the country and help teach the pharaoh until he was old enough to rule on his own. 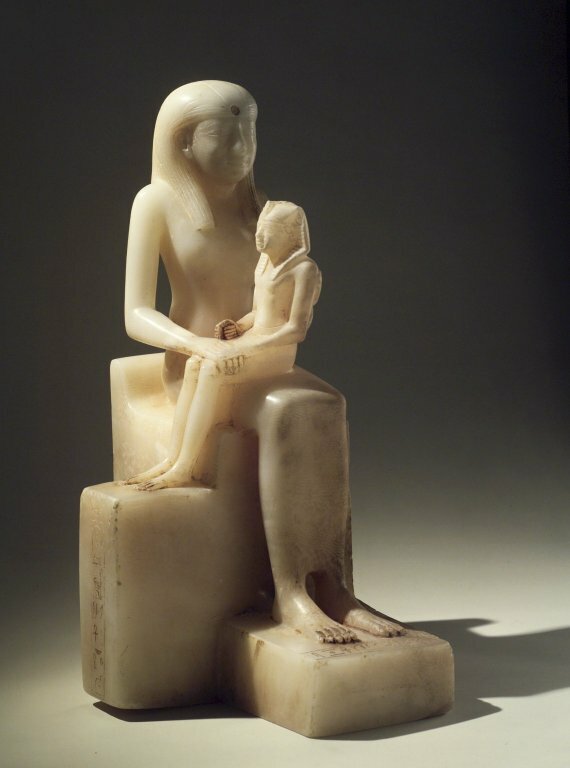 Mothers were often selected as regent (Queens traditionally served as regent when the pharaoh was at war, and therefore would have the knowledge to lead), or as co-regent along with a male official. The pharaoh of ancient Egypt had two major titles and two major roles: “Lord of the Two Lands’ and “High Priest of All Temples’. As ‘Lord of the Two Lands’, the pharaoh’s main objective was to maintain Ma’at, the embodiment of truth and justice, within Upper and Lower Egypt. A kind of “Commander in Chief,” he established and enforced laws, owned all land, collected taxes, and lead his country to war when absolutely necessary. The pharaoh’s second title, ‘High Priest of All Temples’, was almost more important in that it implied the pharaoh’s direct connection to the divine. The pharaoh officiated most important religious ceremonies, chose the sites of new temples/monuments to the gods, and decreed what work would need to be done. Being only one man, the pharaoh would have been unable to perform every ritual at every temple throughout Egypt every day; therefore, the pharaoh would select high priests to perform the rituals with his blessing. 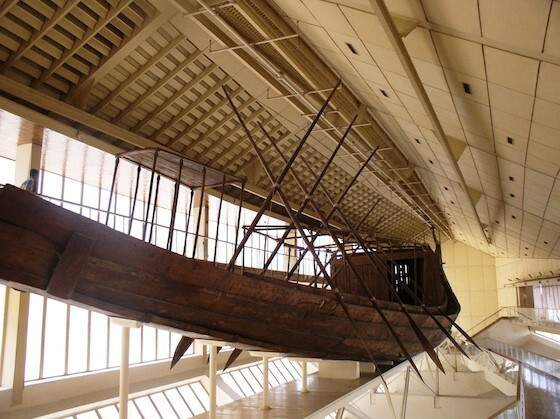 This title also proclaimed him as the head builder of Egypt, responsible for immortalizing ancient Egypt’s victories, her religion, and the achievements of the pharaohs for centuries to come. Much like the Eagle and Presidential seal have come to signify the POTUS, a pharaoh of ancient Egypt had specific symbols that signified his position. 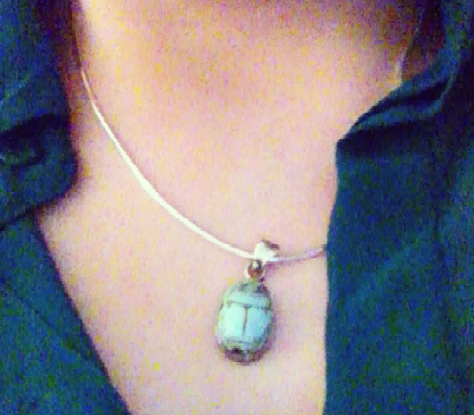 Pharaohs were frequently represented through images of a hawk, aligning themselves with the god Horus. Often referred to as the first pharaoh and the divine successor of Osiris, Horus was one of the most powerful gods in the ancient Egyptian religion. The pharaohs of ancient Egypt were referred to as the “Living Horus” a title signifying their knowledge, power, and access to the divine. Another symbol of the pharaoh is the nemes headdress. Symbolizing the ruler’s status, the nemes headdress is often interpreted as a lions mane, an animal regarded with great power and status. The nemes headdress is frequently accompanied by a uraeus, or an attachment shaped as a cobra, showing that the pharaoh held great authority and was “ready to strike” at any moment. A final set of the most common pharaonic symbols contains the crook and flail. Seen in various tomb reliefs and funerary objects (and often seen in the crossed hands of the pharaoh depicted on sarcophagi) , the crook and flail are thought to represent the two duties of the king; the crook stands for the shepherd, guardian of the people, while the flail is seen as the punishments deemed necessary to sustain society. One of the main differences between the pharaohs of Egypt and the presidents of the United States is the celebration of their ‘reigns’. 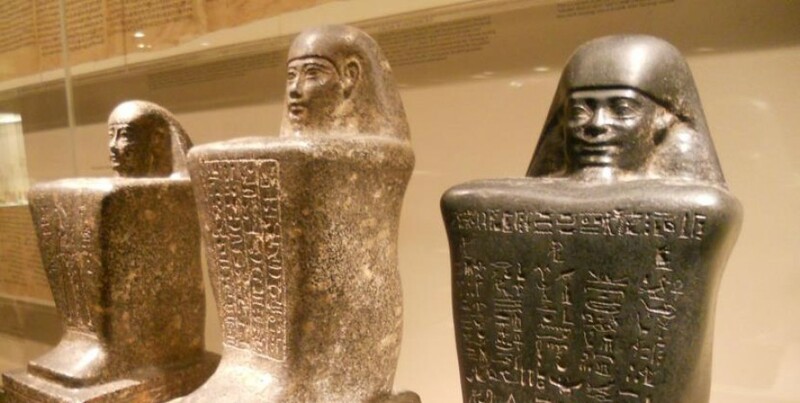 While we have a day each year to give our thanks to all presidents past and present, the ancient Egyptians had a different approach; their equivalent is found in the Heb-Sed festival, which you can read all about a recent post discussing Egyptian Festivals! Whether we are discussing Presidents or Pharaohs, one thing holds true—with great power comes great responsibility. We remember their accomplishments and sacrifices as we celebrate. Happy (belated) Presidents Day!